MODwedding inspires brides from around the world to discover and celebrate the fine details of weddings. From fashion, beauty to wedding trends, our attentively curated ideas help brides plan the quintessential dream wedding with style. Founded by husband and wife team in Washington DC. 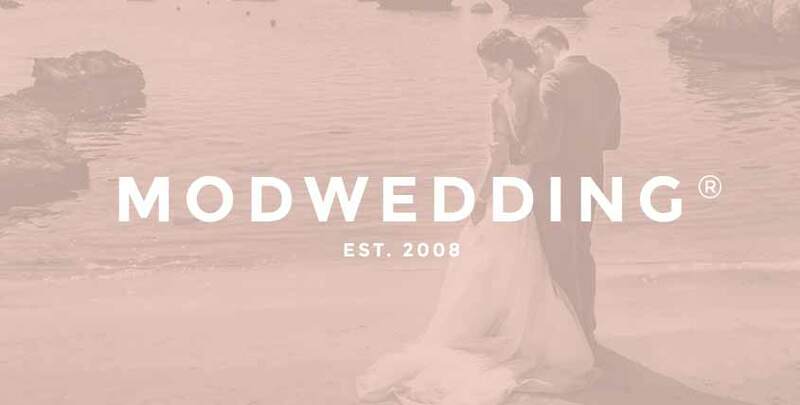 MODwedding was established in 2008 with one mission in mind: to help couples plan their fabulous wedding with ease. Since the launch, our company has been growing at a rapid rate reaching over 1.3 million modern brides through our popular social media platforms. With over 24 million monthly views on Pinterest and close to 1 million Facebook followers, our curated content helps brides get one step closer to their dream wedding each day. We proudly work with the industry’s best photographers and wedding professionals worldwide. From swoon-worthy wedding submissions to expert planning tips, we work closely with a large network of the most sought after professionals to curate the best content for our readers. Congratulations! Now that you’ve said “yes”, it’s time to start planning your dream wedding. This section will guide you with the very first steps from setting your budget to picking your wedding location, and all the fun in between. Browse our featured real weddings to stay inspired! Whether you’re planning your big day at a historic venue, the beach or a hotel ballroom, we have thousands of real weddings to draw stylish inspiration from. From the ceremony, reception and any wedding-related parties, here are the details you should know to execute a flawless day. From wedding dresses, cakes to stationery, our gallery boasts of the most stunning images to save, pin and share. It takes a village to plan a wedding and you’ll want the perfect team of vendors to help bring your wedding vision to life. Learn everything you need to know about each vendor category, how much they will cost, what questions you should ask at your meeting and more. The MODwedding Vendor Guide is specially curated with a trusted network of high-quality wedding professionals. Discover talented vendors who want to help you bring your wedding dreams to life! Stay on top of everything with our wedding planning checklists! With our essential checklists to keep you on track and detailed ones for each vendor, your wedding planning will be a piece of cake. Stylish brides need to stay on top of current trends and we get that. From bridal styles to color schemes, don’t miss a beat on the latest wedding trends. and Vendor Guide Overview pages. By spreading wedding ideas and inspiring love daily, MODwedding aims to help brides navigate every wedding planning detail, no matter how big or small, with ease and style. Let us know how we’re doing.